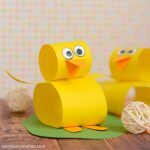 This Paper Circle Easter Chick Craft is a perfect Easter art paper collage to make with your preschool, kindergarten or first grade students. 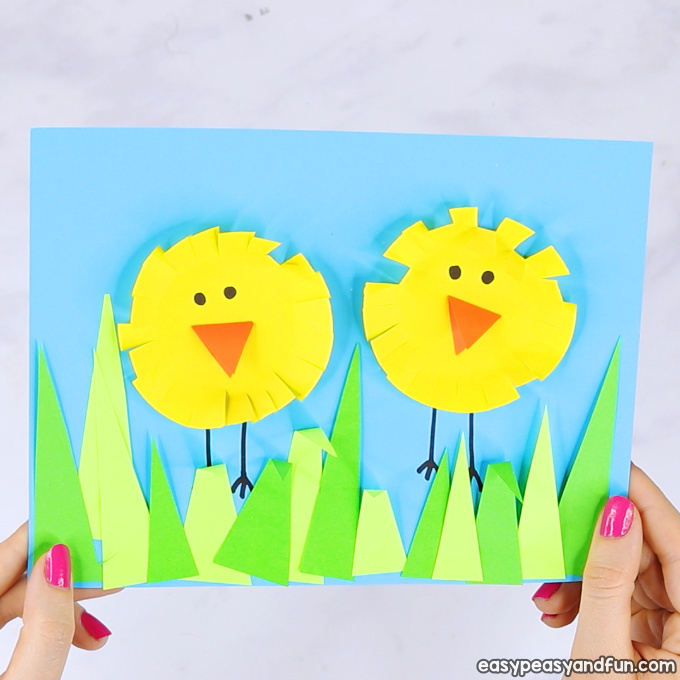 Kids will love how this collage art will turn out, only a few simple shapes are needed to make a cool Easter scene. 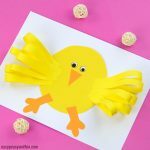 This Easter craft is a perfect art project to make in the classroom as it’s really, really easy to make and will look amazing as a wall display. 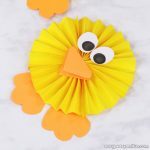 It doesn’t take long to make so the whole process can be completed in one crafting session. 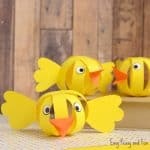 We made our chicks all yellow, but you can make them in other colors too and make the display even more colorful. 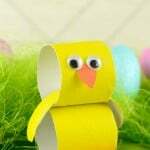 The same techniques and process can also be used to make a cool little DIY Easter card. 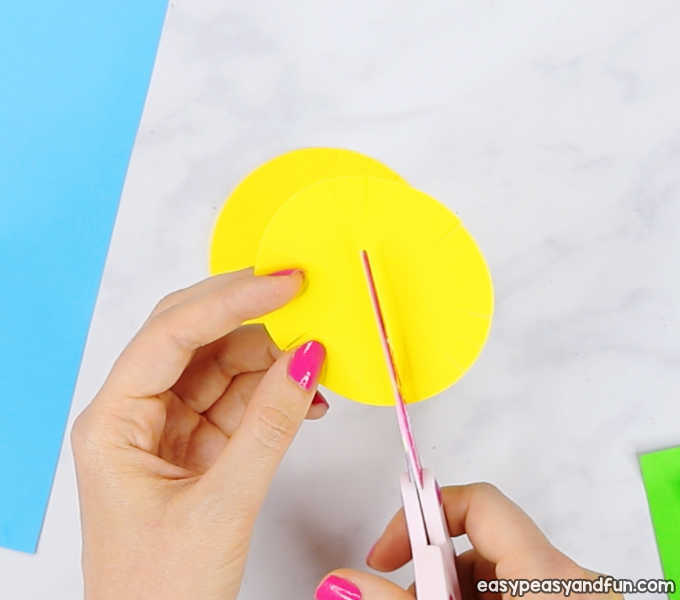 Cut two large circles out of orange paper, or if you have a big circle punch, punch two paper circles. 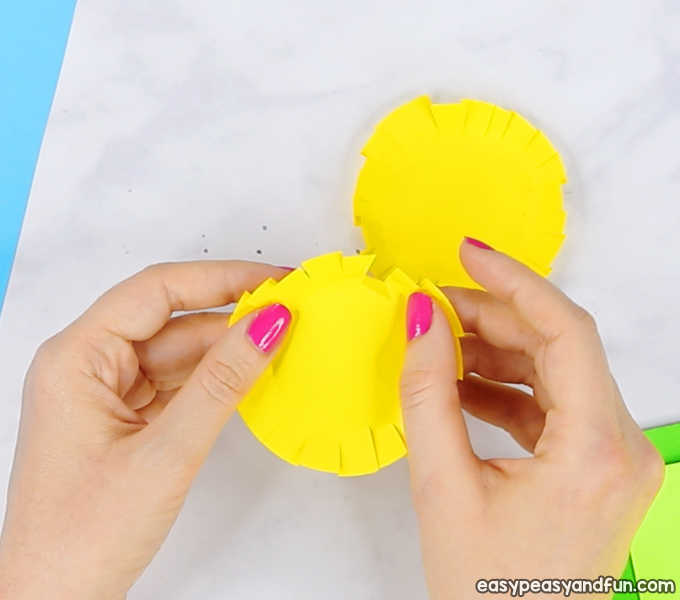 Make small cuts on the edge of the circle, all the way around (on both circles). 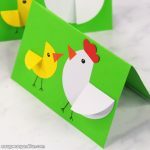 Fold some of the “strips” to give your soon to be paper chicks some dimension. 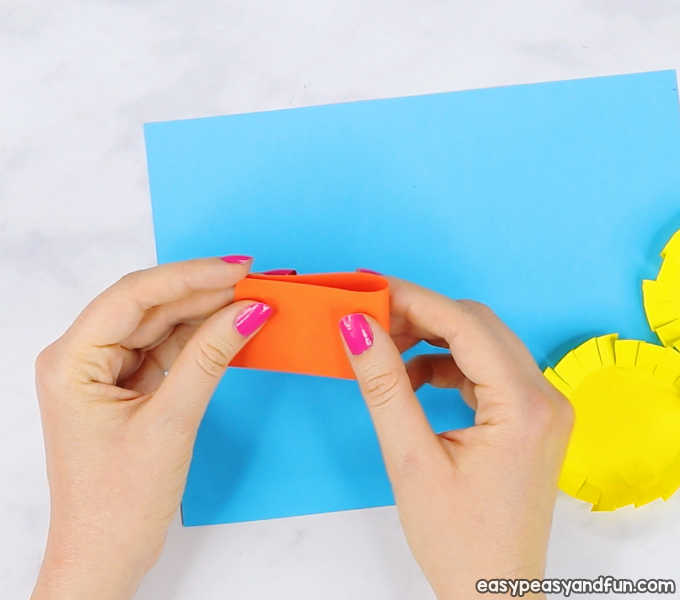 Fold a small piece of orange paper in half. Cut two triangles for the beaks. Glue the paper circles on the base (we used a blue base). Stick the beaks on the chicks – somewhere in the middle. 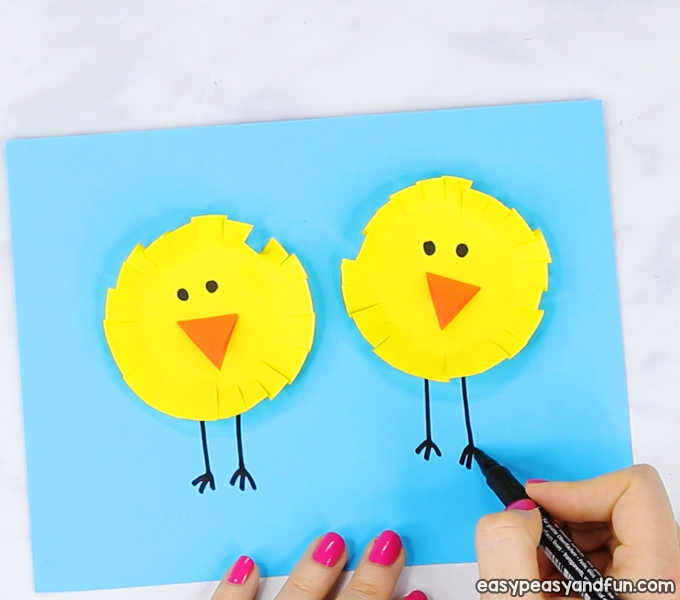 With a black marker, draw chick legs and eyes (or use googly eyes). Cut long triangles (different lenghst) out of green papers. 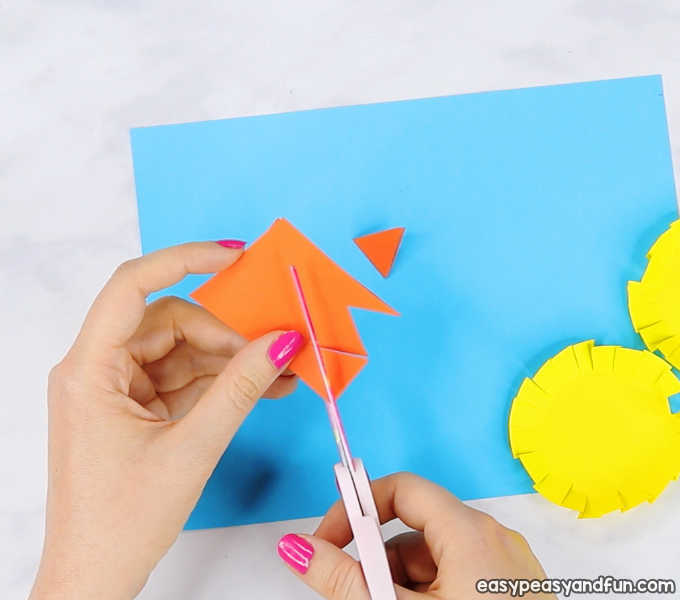 Apply glue on the bottom of the triangles and stick them on the bottom of the base paper. Fold down some of the triangles to give your collage art even more dimension. All done! 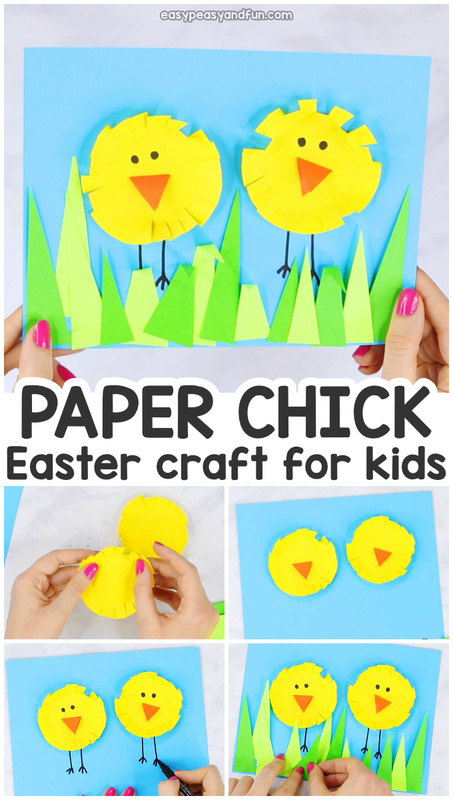 You’ve made a wonderful paper circle Easter chick craft.